Camping and eating go hand in hand. Don’t you agree? The hubby always teases me about how much food I bring when we go camping. 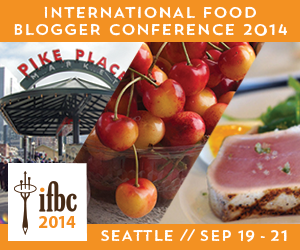 And yes, we do end up bringing a fair amount of it back, but I just want to make sure that there is plenty to eat! We all work up such an appetite hanging out in the great outdoors. 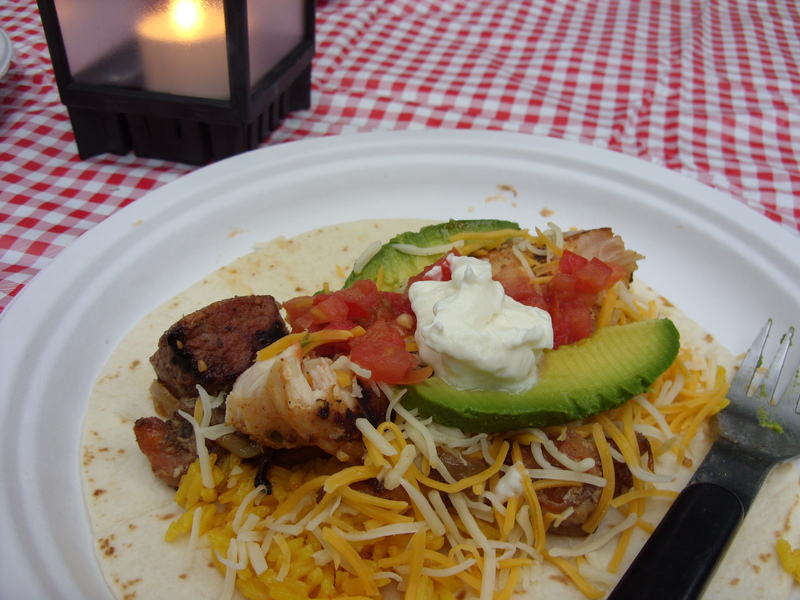 I added a new recipe to my campfire cooking repertoire this past trip and I just could not wait to share it with you – it was so good! And one that you could actually make at home on the grill. Place chicken, beef, prawns, onions and peppers into a gallon-sized ziploc bag. Add oil, cumin, oregano, garlic, chili powder, lime juice and salt/pepper. Seal bag. Shake and massage bag until meat and vegetables are covered in marinade. Place bag into another ziploc and seal so that it does not leak. Let mixture sit overnight in the fridge and then pop into the cooler when you are ready to go camping. 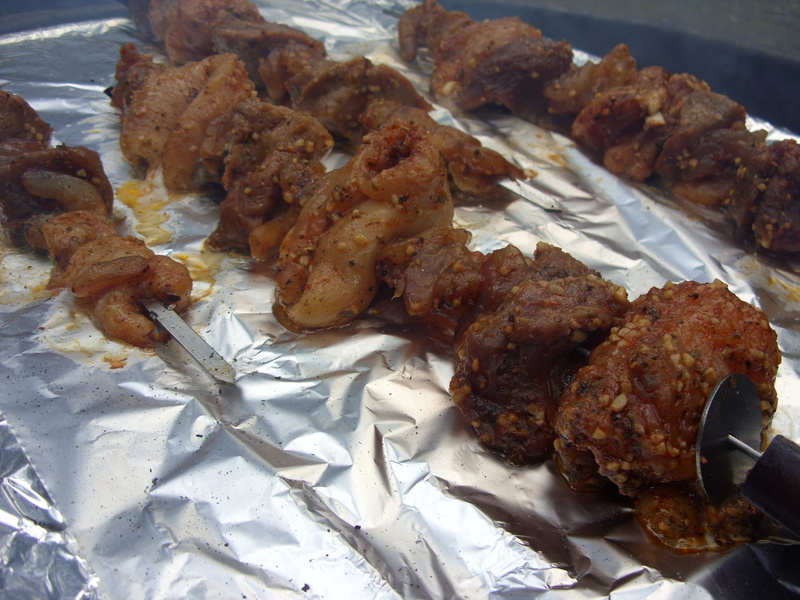 At the campsite, place the meat onto seperate skewers – the shrimp takes the least amount of time and the chicken the most, so it is best to skewer them seperately. Cover the fire grate with aluminum foil and coat lightly with non-stick spray. Cook skewers over the fire until done, turning several times – it is best to have good coals but not too big of flame. 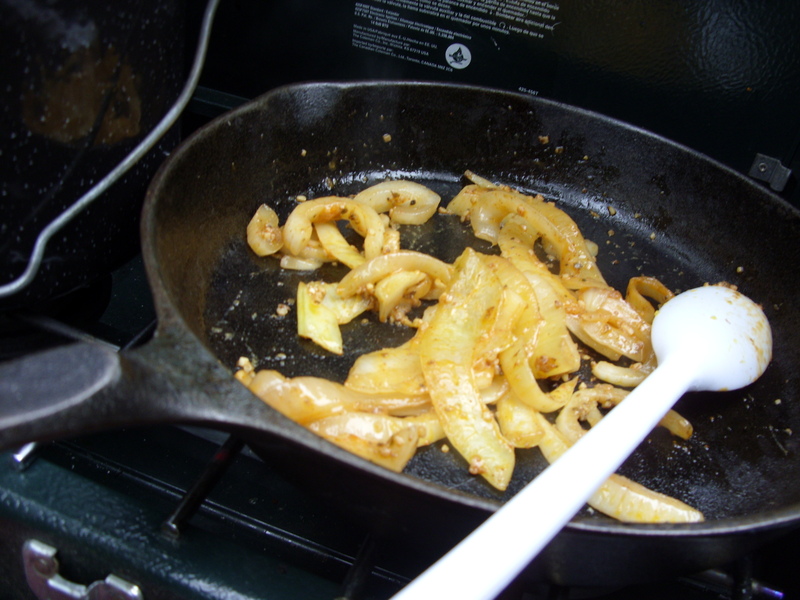 Cook the onions and peppers in a cast iron skillet on the campstove. Serve meat and peppers/onion mixture over tortillas and top with your choice of cheese, sour cream, avacado, lettuce and tomato. I also cooked up a pakage of saffron rice on the campstove and served it on the side – though some of us even put the rice on our fajitas! So good! I am always looking for new recipes to take camping with me. What are your favorite things to cook over the campfire? Yum! We have a fabulous Campfire Chocolate Chili recipe that made in bulk can feed the WHOLE CAMPGROUND! Thanks for the great share. Sounds wonderful Marianne! I would love to have that recipe! Steak for me! 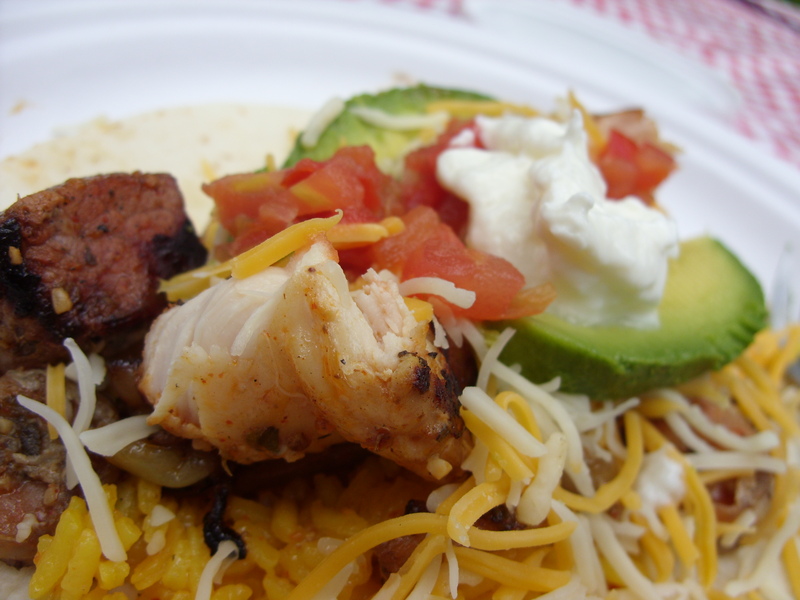 Your fajita looks like the best of both worlds – a perfectly tasty & healthy surf & turf fajita. WOW, impressive as usual.